Manuel Reanda is a self-taught Tzutujil painter who lives in Santiago Atitlan, Guatemala. Manuel was born in 1948 and was orphaned at six years of age. As a boy he drew on the walls of his home with pieces of charcoal each day before going to school. Manuel committed himself to art after finishing elementary school. During this formative period of his life, he apprenticed for five years under the city's first ‘master’ painter, Juan Sisay. As an adult he studied mural painting in Mexico City with Juan O’Gorman, a student of the famous Mexican muralist Diego Rivera. In the years since, he has passed on his knowledge of painting to many students of various ages. Manuel's artistic subjects include portraits, customs, traditions, flowers, still lifes, landscapes (real or imaginary) and biblical and religious scenes. Manuel states that his parents were ‘gospel pioneers in Santiago and that he was blessed to be born in a Christian home.’ Some of his paintings reflect his deep evangelical faith. 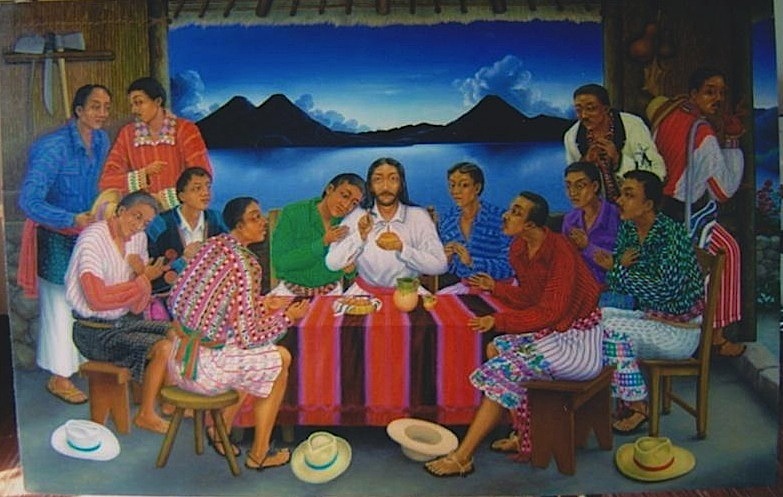 The Lord’s Supper or The Apostles of the Lake is typical of his style, depicting traditional Guatemalan dress and surroundings (a second version of this painting can be seen here). 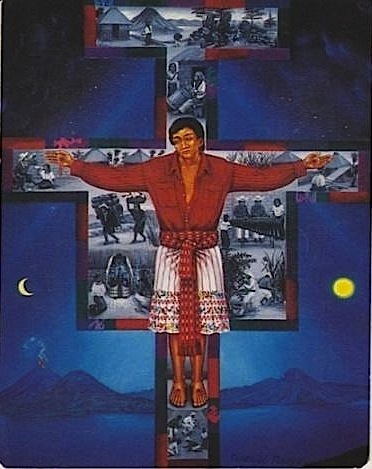 The main message of the panting according to Manuel is that Jesus loves the indigenous people of Guatemala. Another of Manuel's religious paintings is El Sacrificio del Atitlaneco (The sacrifice of the man from Atitlan). Christ is shown wearing the traditional men’s costume of Santiago Atitlan. Daily village scenes are depicted in the background on the cross. Manuel has won a variety of art competitions, and has been published in UNESCO’s Arte Naive. His work has exhibited work in Latin America, Europe and Australia. Manuel has been interviewed by local and international TV channels. Manuel hopes to disseminate the rich culture and traditions of his Tzutujil heritage and share his Christian faith through his paintings. For more examples of paintings by other Tzutujil artists, click here.